Looking for the best products in skincare? Look no further than Skinstitut! 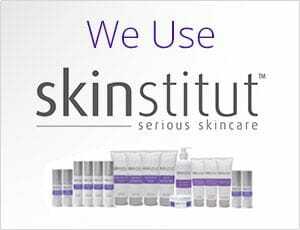 Alpha Cosmedic not only offers the best cosmetic treatments at prices everyone can afford, we also recommend and stock the industry leading Skinstitut range of skincare products. Here at Alpha Cosmedic we believe that serious, high-end skincare should be accessible to everyone. For this reason, we offer Australia's most cost effective, cosmedical range that uses top-quality, cutting edge ingredients from around the world. Skinstitut aren't about hype, expensive packaging or luxury, but rather scientific formulations based on clinically proven ingredients and noticeable skin results. This is why Skinstitut products are often used in association with the treatments we perform at Alpha Cosmedic for maximum positive effects. PLUS this industry leading range of skincare products are priced up to 50% less than other comparative brands!